Yep, stock T cap. There were variations over the years. Thanks Steve I know the brass stuff but when it comes to the later stuff I'm lost and we have to get down to the stuff for the 12 and peddle the rest. Dads has collected T stuff for 50 years. Are those made of aluminum, Colin ? 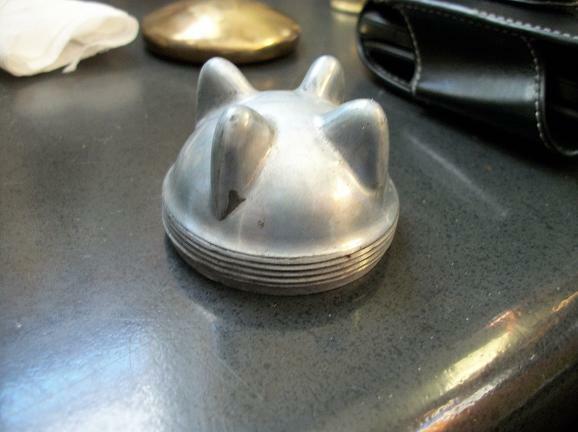 This is the radiator cap used on the 1917 and later models. Prior radiator caps were of polished brass in a few variations in style. The earliest design had rather high and sharp fins. The fin design was modified in later 1909 and by about 1913 the fins were down to the �standard� size. 6/27/16 Adopted. 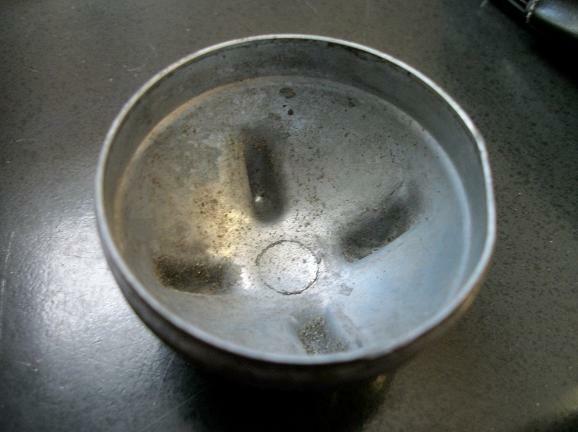 It was made of stamped brass, nickel plated and polished. without looking anything up, I don't believe Ford ever made aluminum nor pot metal (either material--they're not the same thing) radiator caps. These are likely an early aftermarket, or reproduction cap. Steve, the circle on the underside of the first photo indicates that that cap was diecast. Perhaps you were correct in the first place. My car came to me with a new (in 2008) radiator and a plated, pot metal reproduction radiator cap. I found a nice original stamped cap at a swap meet, but it was such a tight fit in the reproduction radiator neck (even after chasing and lubricating the threads) that I went back to my reproduction cap.